We'll work for you every step of the way! Our combination of skill, experience, and technology ensures that we can sell your home for the highest possible price and in the shortest period of time. We have the tools to meet the demands of selling your home in a highly competitive, modern market. We understand that price is important to you. Your listing price directly affects how many buyers will consider your property. Once we know your objectives for selling, and what you want to achieve, we will present you with a customized strategy to obtain the highest possible price - in the current market. The advantage of being an active, real estate team with over 60 years of combined team experience is our ability to know market conditions. This ensures the price we recommend will coincide with our marketing campaign resulting in better results for you. As real estate agents, we can assure you we’ve seen first-hand how a poor image made online is difficult to overcome. For this reason, alone, we insist on showcasing our seller’s homes with top quality professional photos. Included in our photography packages are accurate square footage measurements, floor plans, as well as the use of some of the latest video technology. Life is typically full of the unexpected and various opportunities that we haven’t thought of or explored. Family size, operating a home business, having an aging family member move in with you, or an adult child return home - these are all factors that influence a buyer’s decision. With accurate measurements for square footage professionally calculated, a home buyer knows all the options up front. Quintessentially, the yard-for-sale sign is a key component when selling your home. When you list with The Chancey Team, a Chancey Real Estate for sale sign will be professionally installed to withstand the weather and prominently displayed in front of your home. In addition, we strategically place pointer signs in your neighbourhood to alert potential home buyers – often scouting an area for its livability - that your home is on the market. An open house can be an important part of marketing your home. Instead of having 10 showings, at different times throughout a week, we arrange for buyers to visit your home during a two-hour period so you only have to prepare your house once! For showings and open houses, we have tastefully designed brochures for potential home buyers to take with them after viewing your home. Incorporating the professional photography, that we had taken of your home, with your floor plans and accurate square footage measurements, we have a double-sided booklet printed to showcase your home. Part of our job as your Realtor® is to spread the word that your home is for sale. We spend our marketing budget using all available marketing channels beyond the MLS® to make sure your home is showcased in The Delta Optimist and local Real Estate Weekly newspaper. The best way to maximize price is to get the most exposure for your home. We stay on top of the latest trends and monitor websites and social media to ensure your listing is featured on: MLS®, Realtor.ca, remax.net, pixilinks.com, and our website, TheChanceys.com . Additionally, your listing will be featured in our electronic e-Newsletter which is sent to our database of Lower Mainland Real Estate Agents. WEBSITE - Our website generates 3,000 unique page views on average a month. That’s an extra 3,000 home buyers looking to buy in your neighbourhood. Over 93% of buyers start their home search online and we make sure we're there. Our website also features a live agent to respond immediately to any Buyers interested in your home. ADWERX: We geographically target people online, to make sure your property is seen by Buyers. Your property goes where people spend their time online, including Facebook and hundreds of top websites online inlcuding, the Weather Network, TSN, and Yahoo News. With over 60 years combined team experience helping individuals sell and buy their homes, we can assure you that people are always looking to upgrade, change, or downsize their homes. During these years of building relationships, we’ve developed an exclusive database containing over thousands of potential clients to draw upon. Call us today at 604-946-8899 to speak with us about selling your house, townhome, or condo. 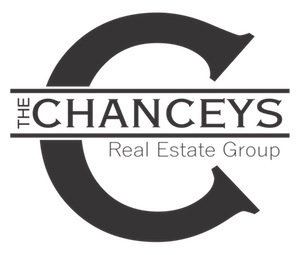 We would be happy to provide you with a free home evaluation and explain the Chanceys Marketing Strategy with you.